We are about to go to war with Syria. That means many innocent people will die, be maimed and displaced. I think three key questions remain unanswered, and fear we are about to do entirely the wrong thing. 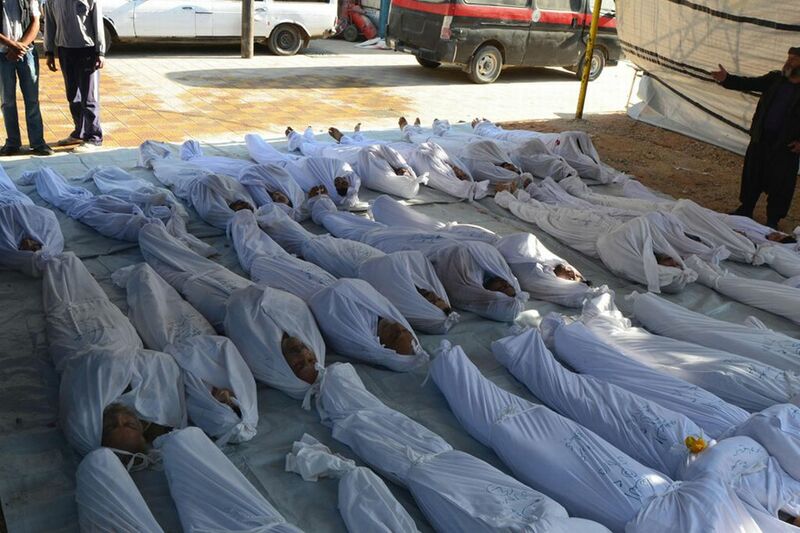 Instead of firing missiles, the Damascus gas attack could instead be used as a catalyst for meaningful peace talks. We live in a YouTube world. Earlier this year I was sent a clip that journalists reporting on the Syrian conflict were posting to each other. It was of a young man who had had his jaw and the lower part of his face blown off by shrapnel from a missile strike. He was fully conscious and well aware of what had happened to him. As others ran shouting around him, he sat on his gurney bolt upright and could only half shout half groan, with what was left. It is impossible to comprehend the mental and physical agony that that young man was in at that time. He was from Daraa where the conflict first erupted, and a quick web search reveals he died some days later. I give this utterly horrific example to ask my first key question: why now? The answer we're given is that chemical weapons have been used for the first time and that that represents a line that humanity simply cannot allow to pass. 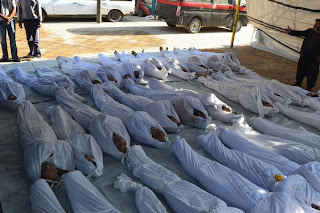 But as commentators elsewhere have observed, that line was crossed months ago already (contrary to what William Hague claimed this afternoon) and as horrendous as the deaths of hundreds of innocent people from poison gas quite clearly is, can anyone explain to me why the suffering of the young man from Daraa is any less horrendous, even if it wasn’t as a result of gas? The answer seems to be a determination by the UK, US and France to diplomatically outwit Russia and China by using the shock effect of the Damascus attack to break the logjam that has repeatedly paralysed the Security Council at the UN. So its more about high politics than high principles, which is presumably why even Ban Ki-Moon has responded to today’s UK tabled resolution with the argument that it is too early and that the inspectors need four more days to complete their work.Why not use the pressure on Russia and China to have a meaningful conversation about how to bring the warring parties to the table instead of bypassing them in a rush to ... well what, exactly? As journalists breathlessly produce graphics highlighting the locations of UK, US and French warships, complete with flags, the images take me back to A level history classes when we learned about gunboatdiplomacy. This was the tactic of choice for the colonial powers in the Middle East and North Africa and it appears we are about to return to our nineteenth century roots. The point of this observation is that it de-legitimises the forces we claim to support, even if we don’t actually understand who they are. Another answer we are given to this question is the Responsibility to Protect, or R2P. This mandates the international community to intervene in order to protect civilians from harm, including from their own governments. But as Sir John Holmes, former head of the United Nations Office for the Co-ordination of Humanitarian Affairs argues, it is far from clear how firing missiles from submarines is set to achieve this, and is likely to make aid workers targets themselves. The big question to which nobody – including those leading the calls for military action - has an answer. Any answer at all. Lord West, a former First Sea Lord of the British military today asked pointedly: "You can do a surgical strike but you need to be clear what is your whole campaign plan, where do you go from there?". He went on to point out that you cannot simply drop a few missiles and then withdraw – you have joined a war, with all that that entails. And as Dan Smith in his blog points out, mission creep happens as sure as casualties follow bombing campaigns. It seems to me that without a clear answer to any of those questions now is not the time to act, and using missiles is not the right tactic. In the words of Ban Ki-Moon earlier today, it is perhaps still time to give peace a chance.